In taking a necessary step against the threat of Islam, the American Freedom Defense Initiative (AFDI) is calling for the closure of mosques in the United States that have been established as "breeding grounds for jihad terror." This comes on the heels of Freedom Outpost's call to stop all Islamic Immigration into the U.S. and deport all Islamists here on visas or expired visas, along with removing Islamists from our military and government. It also follows AFDI's 18-point Platform for Defending Freedom. Keep in mind that though Geller is on the right track of closing the following mosques, jihadists are bred in all mosques by definition. Executive Director Pamela Geller said in a statement: "In accord with those calls for responsible law enforcement regarding subversive activities in U.S. mosques, we are asking that government and law enforcement officials launch immediate investigations into the Islamic Society of Boston, the Dar al-Hijrah Mosque of Fairfax County, Virginia, and the Noor Center of Columbus, Ohio." Geller emphasized: "These mosques are not unique. There are many others like them. But they are the tip of the spear. It is time that our officials demand that they obey American laws, or be held accountable for not doing so." Founded by Abdulrahman Alamoudi, who served as its first president. He is now in prison for financing al-Qaeda. Aafia Siddiqui attended this mosque. She is now serving an 86-year-sentence for plotting a jihad attack in New York City, and firing at military officers and FBI agents when under arrest. Tarek Mehanna attended this mosque. He is now serving 17 years in prison for conspiring to aid al-Qaeda. Ahmad Abousamra attended this mosque. 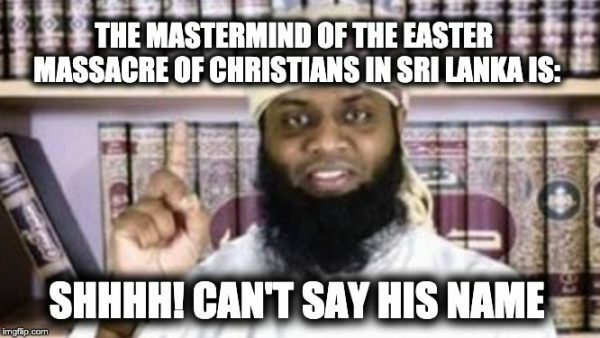 He was Mehanna's co-conspirator. He fled to Syria and is wanted by the FBI. Jamal Badawi of Canada was a former trustee of the Islamic Society of Boston Trust. He was named an unindicted co-conspirator in the 2007 Holy Land Foundation Hamas terror funding trial. Yusuf al Qaradawi, the Muslim Brotherhood spiritual leader who has praised Hitler and called on Muslims to finish his work, was a mosque trustee and has addressed congregants via recorded video message to raise money for the Boston mosque. Yasir Qadhi, who lectured at the Boston mosque in April 2009, has advocated replacing U.S. democracy with Islamic rule and called Christians "filthy" polytheists whose "life and prosperity … holds no value in the state of Jihad." Tamerlan and Dzhokhar Tsarnaev, the Boston Marathon jihad bombers, attended the Cambridge mosque. The Dar Al-Hijrah Islamic Center, Fairfax County, Virginia. The Saudi-backed North American Islamic Trust (NAIT), a Muslim Brotherhood group, bought the mosque's grounds in 1983. Mohammed al-Hanooti, the mosque's imam from 1995-1999, was named an unindicted co-conspirator in the 1993 World Trade Center bombing. Anwar al-Awlaki, the mosque's imam from 2001-2002, has extensive contact with three 9/11 hijackers, the Fort Hood jihad murderer, and the Christmas underwear bomber. Johari Abdul-Malik, the mosque's director of outreach from 2002 to the present, has defended Abdulrahman Alamoudi, who is in prison for financing al-Qaeda. Ahmed Omar Abu Ali taught Islamic studies and was a camp counselor at the mosque; he is now in prison for plotting to assassinate President George W. Bush. Shaker Elsayed, the mosque's imam from 2005 to the present, was Secretary General of the Muslim American Society, a Muslim Brotherhood group. Nidal Malik Hasan, the Fort Hood jihad mass murderer, attended this mosque. Abdelhaleem Hasan Abdelraziq Ashqar, a member of the mosque's Executive Committee, was convicted in November 2007 of contempt and obstruction of justice for refusing to testify regarding Hamas, and received an eleven-year prison sentence. The leader of the mosque, Dr. Hany Saqr, was previously an imam for another area mosque which at that time was the base of operations for the largest known Al-Qaeda cell in the U.S. since 9/11, including convicted jihadists Iyman Faris, Nuradin Abdi, and Christopher Paul. Saqr is one of the leaders of the Muslim Brotherhood in North America. Dr. Salah Sultan was the mosque's unofficial scholar in residence. A protégé of Qaradawi, Sultan is now in the Middle East and has appeared on Egyptian television approvingly quoting the genocidal hadith about how the end times will not come until Muslims kill Jews, and previously appeared at events in support of Hamas and Qaradawi. The Noor Center has been directly linked to the Somali Muslims who have gone from the U.S. back to Somali for jihad terror training. Siraj Wahhaj, a friend of the Blind Sheikh and a potential unindicted co-conspirator in the 1993 World Trade Center bombing, has spoken at the Noor Mosque. Mosque members threatened the life of Rifqa Bary, a teenage girl who left Islam for Christianity. While this is most certainly a move in the right direction, it does not go far enough. This is still looking at Islam, the alleged "religion," as a peaceful one. It tries to distinguish between peaceful Islam and jihadists. There is nothing but jihadists in Islam. There can be nothing but that. Those not engaging in acts of terror are supporting groups that attack the Second Amendment or the First Amendment. They seek to undermine the U.S. Constitution and State Constitutions and impose Sharia law, but the Constitution has given us the means of putting an end to Islam in the United States if people would simply wake up and demand it be followed. While I am in favor of Geller's push in this regard, it doesn't go quite far enough. This only means there will be other mosques in which jihadists are continually nurtured. Ultimately, I think we have allowed for Islam for far too long in this country and as a result we are heading toward a physical collision with Islamists if elected officials don't wake up and realize that the threat is not "radical Islam," but Islam itself.